The information presented on this page was originally released on April 17, 2017. It may not be outdated, but please search our site for more current information. If you plan to quote or reference this information in a publication, please check with the Extension specialist or author before proceeding. One of my favorite things to do in the spring and early summer is visit my local garden centers. At this time of year, the sheer number of flowering annuals can easily result in sensory overload. I wander through the aisles and benches almost in a hypnotic trance, and I always leave with a vehicle full of colorful beauty. By the time I get home, the color high has started to wear off, and I have to decide where to plant the new arrivals. Over the last couple of years, and after many conversations with garden and landscape experts, I’ve decided to actually have a plan for my garden and landscape. And while I fall off the wagon from time to time, I nearly always go plant shopping with this plan in mind. 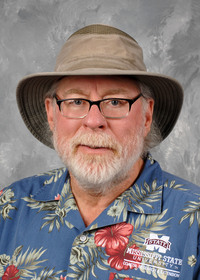 Let’s use ground-cover plants for an example. 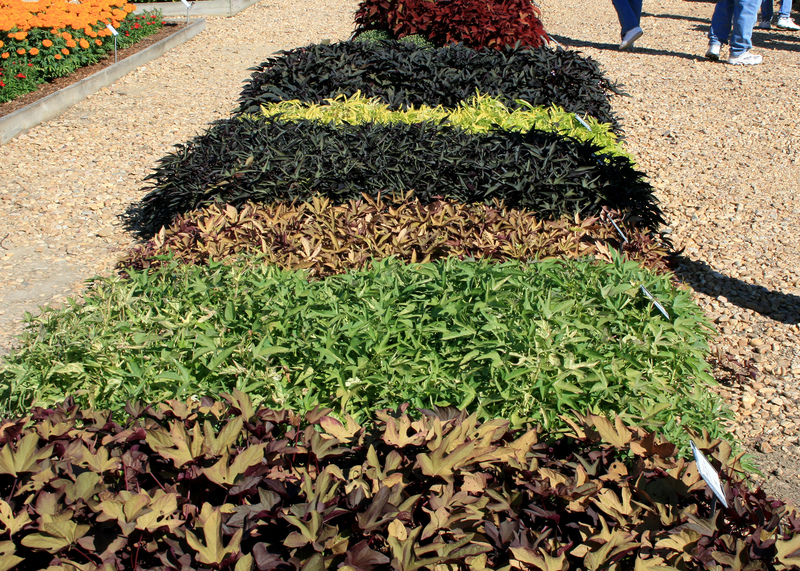 Many gardeners, myself included, have large areas that need some kind of colorful ground cover. My go-to choice in these situations is ornamental sweet potato, which is great for massing and available in a wide variety of colors and textures. Bright Ideas Lime has brilliant, yellow-green leaves that grow to only about 10 inches by 24 inches. Bright Ideas Rusty Red has a similar growth habit, with foliage displaying antique and chartreuse colors with red veins. A dramatic choice is Sweet Caroline Bewitched, which has attractive, heart-shaped leaves with spiny margins. The leaf colors are a deep purple and black that have the darkest hues when grown in the full sun. These are a few of my favorites. For good ground cover with colorful flowers, here are some great choices that thrive in our hot Mississippi summers. Purslane is a low-growing, succulent-looking annual with purplish-green stems and bright green leaves. These plants grow up to 8 inches tall and spread to 18 inches, so space them 12-15 inches apart in the landscape. Purslanes like full sun. I find it interesting that the flowers will close on cloudy days and when the plant is under stress. They have even been observed closing in late afternoon and early evening. For a little more colorful plant, the tried-and-true vinca rarely disappoints. Both the vinca and purslane produce masses of 1-inch flowers. Once established, both thrive on neglect and last until first frost. 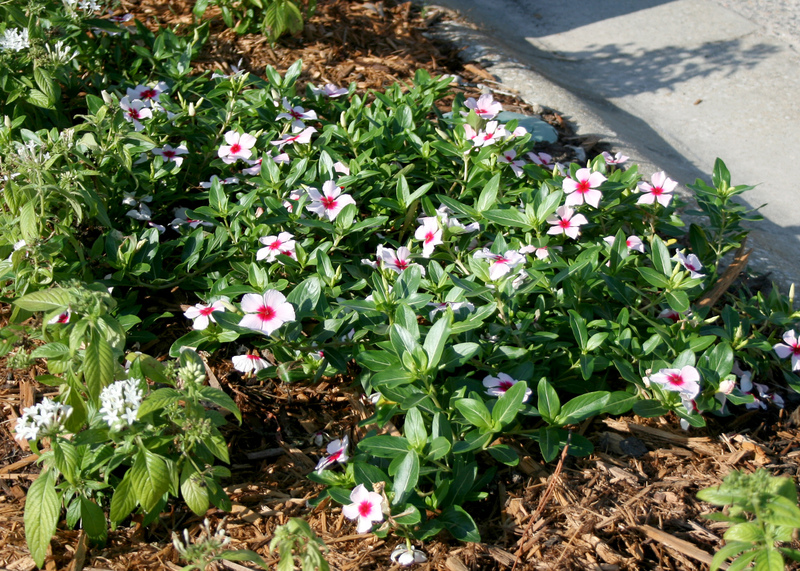 Flowering vinca is a versatile, full-sun plant that looks great mass planted in the landscape. When buying flowering vinca varieties at your local garden center, select plants with bright green foliage. This foliage will develop into the perfect background for the flowering show of white, pink, purple and red flowers. The garden center is fun place to go in the spring. But if you don’t want to impulsively buy the whole store, shop with a plan and only buy the plants that fill your needs.